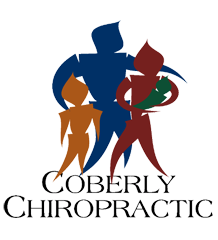 Americans get most Radiation from Medical Scans – Coberly Chiropractic, Inc.
Americans get the most medical radiation in the world, even more than folks in other rich countries. The U.S. accounts for half of the most advanced procedures that use radiation, and the average American’s dose has grown sixfold over the last couple of decades. Too much radiation raises the risk of cancer. That risk is growing because people in everyday situations are getting imaging tests far too often. Like the New Hampshire teen who was about to get a CT scan to check for kidney stones until a radiologist, Dr. Steven Birnbaum, discovered he’d already had 14 of these powerful X-rays for previous episodes. Adding up the total dose, “I was horrified” at the cancer risk it posed, Birnbaum said. After his own daughter, Molly, was given too many scans following a car accident, Birnbaum took action: He asked the two hospitals where he works to watch for any patients who had had 10 or more CT scans, or patients under 40 who had had five — clearly dangerous amounts. They found 50 people over a three-year period, including a young woman with 31 abdominal scans. Of the many ways Americans are overtested and overtreated, imaging is one of the most common and insidious. CT scans — “super X-rays” that give fast, extremely detailed images — have soared in use over the last decade, often replacing tests that don’t require radiation, such as ultrasound and MRI, or magnetic resonance imaging. Radiation is a hidden danger — you don’t feel it when you get it, and any damage usually doesn’t show up for years. Taken individually, tests that use radiation pose little risk. Over time, though, the dose accumulates. Doctors don’t keep track of radiation given their patients — they order a test, not a dose. Except for mammograms, there are no federal rules on radiation dose. Children and young women, who are most vulnerable to radiation harm, sometimes get too much at busy imaging centers that don’t adjust doses for each patient’s size. That may soon change. In interviews with The Associated Press, U.S. Food and Drug Administration officials described steps in the works, including possibly requiring device makers to print the radiation dose on each X-ray or other image so patients and doctors can see how much was given. The FDA also is pushing industry and doctors to set standard doses for common tests such as CT scans. “We are considering requirements and guidelines for record-keeping of dose and other technical parameters of the imaging exam,” said Sean Boyd, chief of the FDA’s diagnostic devices branch. A near-term goal: developing a “radiation medical record” to track dose from cradle to grave. “One of the ways we could improve care is if we had a running sort of Geiger counter” that a doctor checked before ordering a test, said Dr. Prashant Kaul of Duke University. He led an eye-opening study that found that U.S. heart attack patients get the radiation equivalent of 850 chest X-rays over the first few days they are in the hospital — much of it for repeat tests that may not have been needed. How much radiation is risky? It’s hard to say. The best guess is based on the 1986 Chernobyl nuclear power plant accident and studies of Japanese atomic bomb survivors who had excess cancer risk after exposures of 50 to 150 millisieverts (a measure of dose) of radiation. A chest or abdominal CT scan involves 10 to 20 millisieverts, versus 0.01 to 0.1 for an ordinary chest X-ray, less than 1 for a mammogram, and as little as 0.005 for a dental X-ray. Natural radiation from the sun and soil accounts for about 2 millisieverts a year. A big study last year estimated that 4 million Americans get more than 20 millisieverts a year from medical imaging. Two percent of people in the study had high exposure — 20 to 50 millisieverts. Just because a scan didn’t find anything wrong doesn’t mean a test wasn’t needed. Scans are useful for many diagnoses. But many studies suggest people are getting too much imaging now. For example, Mayo Clinic researchers reviewed the medical records of 251 people given heart scans in 2007 and found that only a quarter of them were clearly appropriate. Accuracy and ease of use. Scans have become a crutch for doctors afraid of using exams and judgment to make a diagnosis. Some think a picture tells more than it does. Imaging that shows arthritis in a knee or back problems doesn’t reveal how to make it better, said Dr. Richard Baron, a primary care doctor in Philadelphia. Malpractice fear. A missed heart attack or a burst appendix could be devastating for a patient — and mean a lawsuit. Patient pressure. People urge doctors to “do something” to figure out what’s wrong, and “often, doctors feel that the way to demonstrate that they’re doing something is to order tests,” said Dr. Christopher Cassady, a radiologist at Texas Childrens Hospital and the American Academy of Pediatrics’ expert on this topic. At his hospital, doctors first do an ultrasound on suspected appendicitis cases instead of rushing into a CT scan. Ultrasounds require no radiation. Health care chaos. One doctor may not know that another has ordered the same test. If a patient is referred to a specialist, “it’s often easier for him to order another study than to figure out how to get the one that was done somewhere else,” Baron said. Insurance issues. 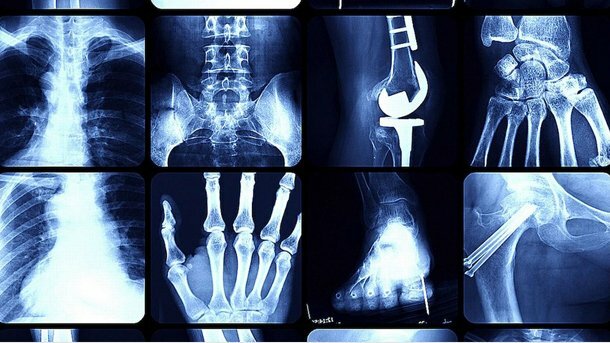 X-rays often are required by insurers to prove health, or for students to study abroad. Availability. Rural hospitals may not have an ultrasound technologist on duty in the wee hours, but imaging machines are always there. Treatment choice. A quick fix for chest pain — artery-opening angioplasty — requires far more imaging and radiation than bypass surgery does. The same is true of “virtual colonoscopy” instead of the standard version. Which tests are overused? A scientific group, the International Commission on Radiological Protection, cites routine chest X-rays when people are admitted to a hospital or before surgery; imaging tests on car crash victims who don’t show signs of head or abdominal injuries; and low-back X-rays in older people with degenerative, but stable, spine conditions. Even when tests are justified, they often include more views than needed and too much radiation. Top offender: chest CT scans looking for clogged arteries and heart problems. Cardiologists are increasingly aware of this risk and are seeking solutions. At Columbia University, a study on dummies by Dr. Andrew Jeffrey Einstein found two dose-modifying techniques could lower the needed radiation dose by 90 percent without harming image quality. Another cardiologist and radiation safety expert, Dr. Gilbert Raff, showed the same in real life. A study he led of nearly 5,000 patients at 15 imaging centers in Michigan found that radiation dose could be cut by two-thirds with no loss of quality. “You should question everything — what’s the dose, why am I getting it? You should be an informed consumer,” said Dr. Fred Mettler, radiology chief in the New Mexico Veterans Administration health care system. He led a study of health effects after the Chernobyl accident and is a U.S. representative to the United Nations on radiation safety. He advised challenging “big ticket” tests like CT scans that deliver a lot of radiation to the chest and abdomen — places where cancer is likely to develop. “You shouldn’t get too excited about feet and knee X-rays,” Mettler said. Mettler suggests bringing a blank CD or thumb drive with you.